We’re only part of the way into the era of HDR televisions, and we already have way too many standards to be dealing with. First came HDR10, then Dolby Vision, and more recently Hybrid Log Gamma and Advanced HDR. If you already thought the situation was confusing then buckle up, because you’re going to have to get familiar with another standard pretty soon. It’s name is HDR10+, and it wants to bring the same advanced functionality of Dolby Vision to an open standard. Essentially what this means is that the players behind HDR10+ want to get the same Dolby Vision goodness without having to pay a licensing fee to Dolby, and what that means is scene-by-scene HDR mastering (enabled by its ‘dynamic metadata’) to get the best out of an entire film or TV show. It might has 10-bit color rather than Dolby Vision’s 12-bit, but this should at least make for a better balance between light and dark scenes. We first heard about HDR10+ back in April 2017 when Samsung announced it was partnering with Amazon Prime Video to support the new format, but the format took a big step forward in August with the announcement that 20th Century Fox and Panasonic were joining forces with Samsung to develop the format. 2018’s CES saw the format come to physical media with the announcement that it had been been accepted as part of the Ultra HD Blu-ray specification. Panasonic has announced its new players will support the format, but there isn’t any word on which discs will be available. Netflix has suggested that it might be open to supporting the format in the future, although it currently has no firm plans to do so. This is important, since it marks the shift of HDR10+ towards a universal standard on all TVs. But do we even need another standard of HDR? Well a side-by-side comparison of Dolby Vision and HDR10 suggests the more premium format can have a transformative impact when used correctly. The early signs for HDR10+ are looking positive. Panasonic is bringing the technology to all of its ‘4K Pro’ televisions, which includes the newly announced 77-inch model of its Panasonic EZ1002, and its 2018 FZ950 and FZ800 OLED sets. Samsung has also already enabled HDR10+ streaming from Amazon Prime Video. But the biggest sticking point at the moment is content. Amazon already has a number of HDR10+ shows, including The Grand Tour, The Marvelous Mrs. Maisel and The Man in the High Castle, but more will be needed if the format is to really take off. The announcement that it’s coming to UHD Blu-rays is certainly positive, but we’re reserving judgement until we see some discs announced. Even if it does find some content, Dolby Vision still has the slight tech advantage with support for 12-bit color and up to 10,000 nits of brightness, but the lack of licensing fees with HDR10+ could end up being mightily tempting for manufacturers and content creators alike. Far from being another pointless standard then it looks like HDR10+ might have a place in the world of home cinema after all. 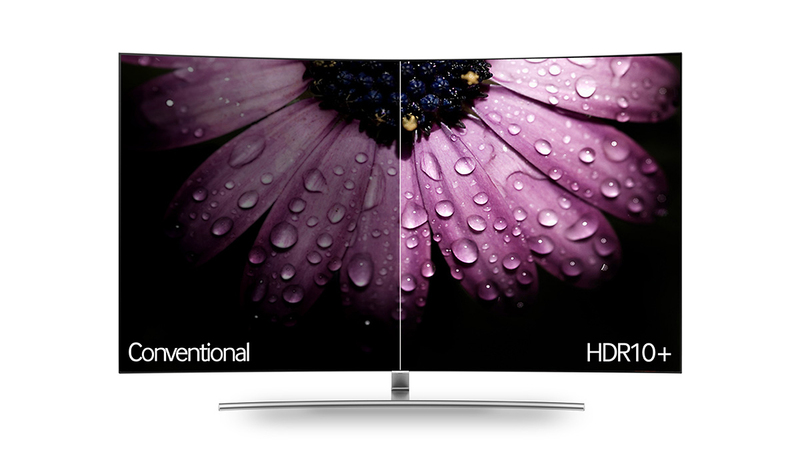 Just don’t expect it to kill off Dolby Vision anytime soon.